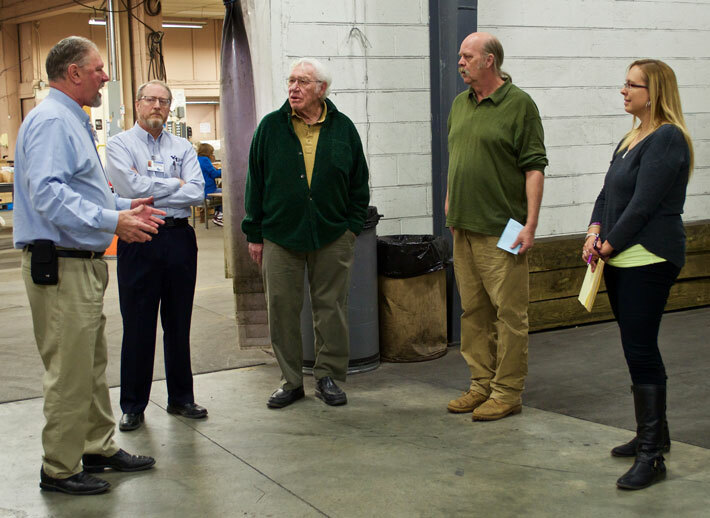 North Kansas City Mayor Don Stielow recently visited VSI’s workshop which has been part of that city for 52 years. Mayor Stielow was joined on the visit by Assistant City Administrator Kim Nakahodo. VSI Executive Director Randy Hylton welcomed the two and was joined by Kimbal Mothershead, VSI assistant executive director, and Paul Q. Smith, North Kansas City facility supervisor. Mayor Stielow toured the shop and noted how the workers with disabilities provide valuable services for several North Kansas City businesses, including some of the largest firms in the area.